The homepage featured an animated slider, expandable menu sections and a blackboard showing the latest offers and deals. 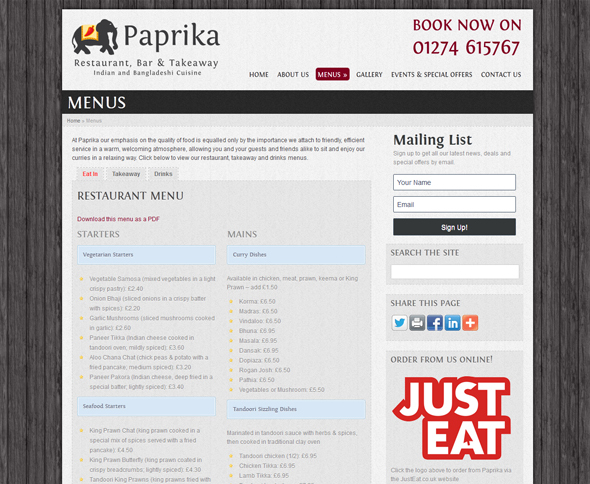 On the main website pages, a sidebar included options to sign up for the restaurant mailing list, order takeaway online via JustEat.co.uk, share the page and search the site. 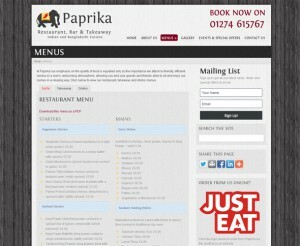 The menus page showed tabs for the three menus: restaurant, takeaway and drinks. 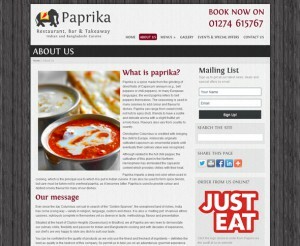 These could also be downloaded as PDFs. 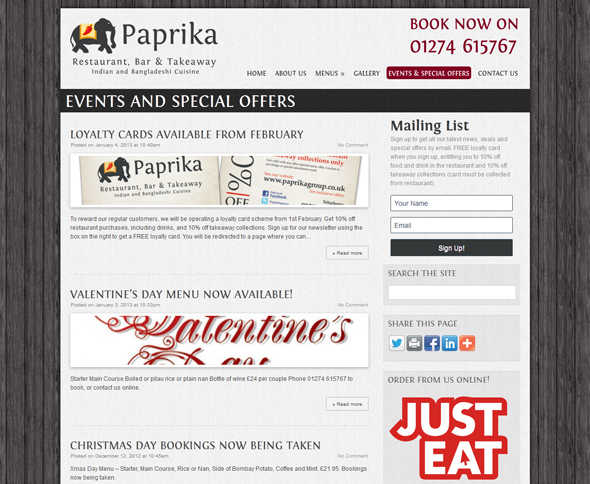 An offers and deals section with blog-style functionality allowed the client to promote their latest special offers. The client could add new images of the restaurant, staff and diners in the Gallery section. 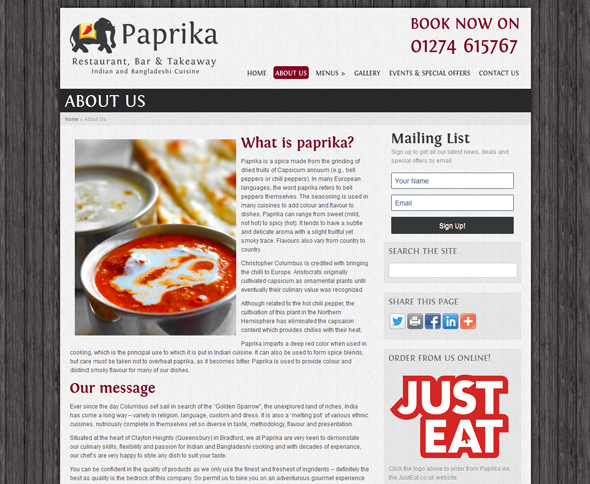 The contact page included an embedded Google map and spam-protected contact form. 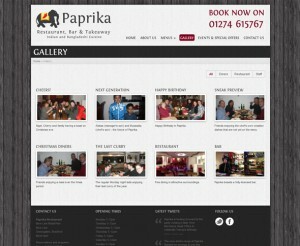 A mobile version of the site was presented to smartphone users. The attractive yet minimalist design meant that information could be downloaded quickly even on a cellular network. 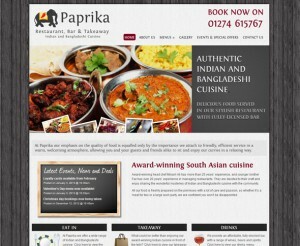 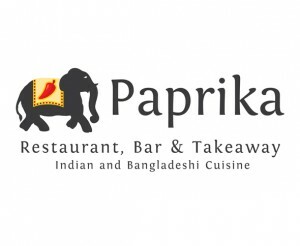 We also designed a new logo for Paprika, to be used on their website, menus, flyers and other promotional material.